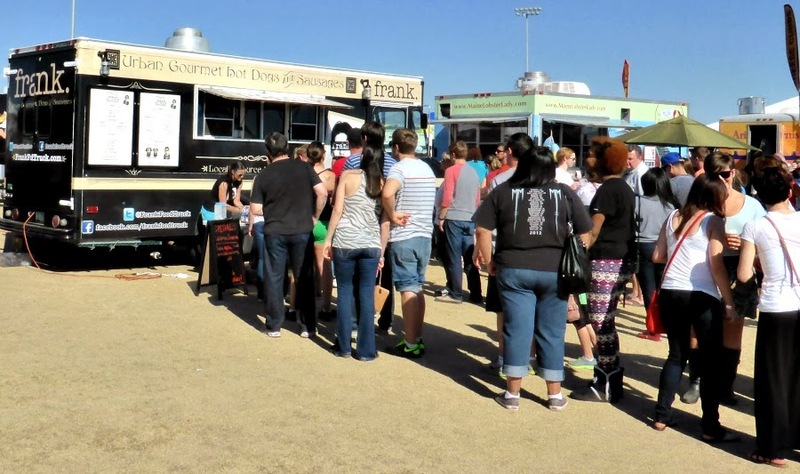 I've heard so much about food trucks and the diversity of the foods they serve that, when I heard there was a Food Truck Festival in Scottsdale I literally dragged Arch there. It was a beautiful day and he would rather be playing golf! 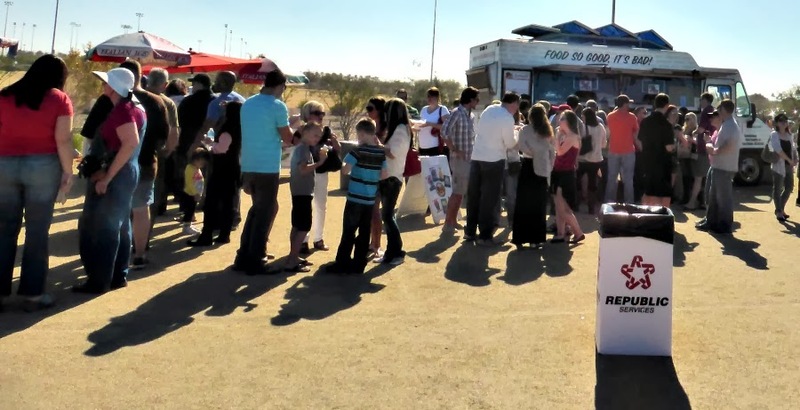 Then we had to get in line buy tokens to use to purchase food from the food trucks. Not a good start. However we soldiered on. 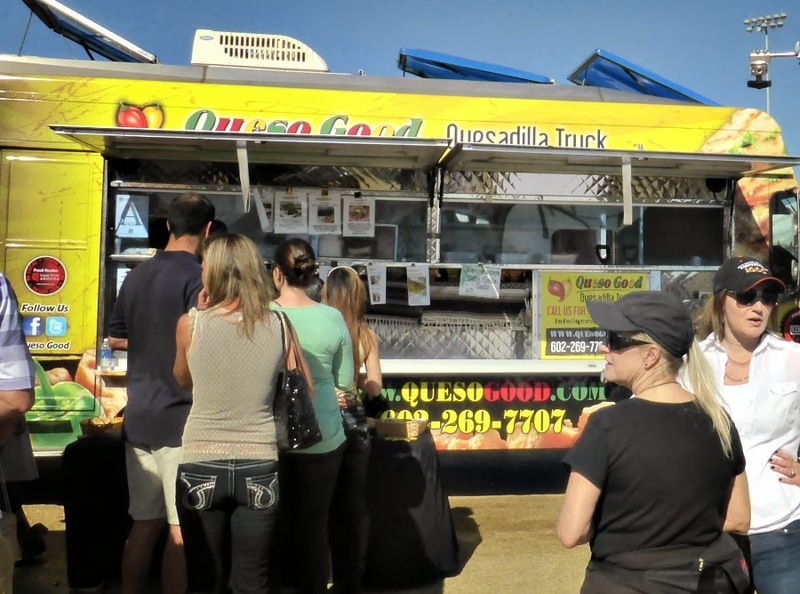 Most of the trucks had very long line-ups to buy food. Except the one above. 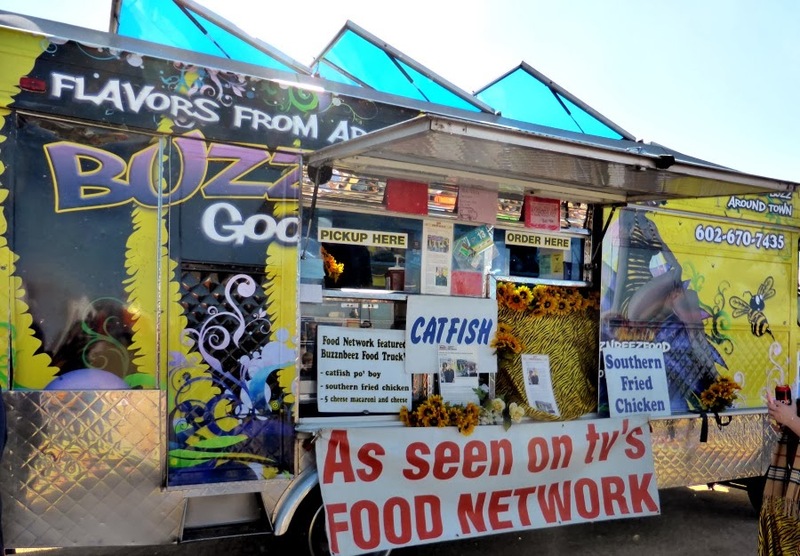 Guess catfish is not an Arizona favourite. In the south east there would be a huge line up here as well. 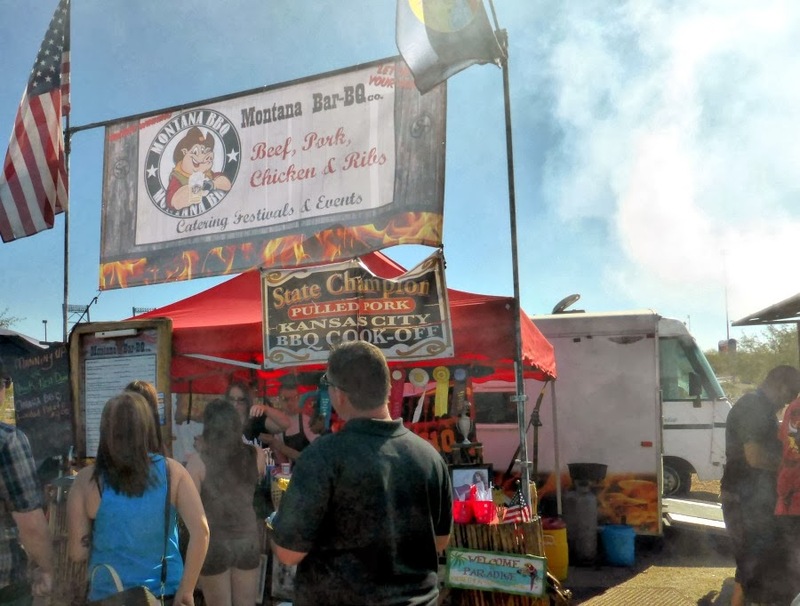 In the US BBQ means the meat is smoked, then slathered with a special sauce and then grilled. The haziness in the photo above was from the smoke created by the wood grill the edge of which you can see on the right. We could not get close to it so I checked out her menu on line when we got home. Very extensive. Especially for a truck that is located in Phoenix - I wonder where the lobster comes from. I think her main feature is lobster rolls. Lobster rolls are a specialty of mine and I would have liked to try them but I am guessing the line up was at least an hour long. Melt the butter and add the garlic cloves. Let sit for a while so the garlic flavours the butter. Brush the garlic butter on both sides of the hot dog buns and grill them on both sides. You could also brown them in a heavy frying pan on the stove top. In a bowl mix the lobster meat, mayonnaise, celery and salt andpepper to taste. Open your grilled bun and line the bottom with iceberg lettuce than spoon the lobster mixture onto the center of the hot dog bun and serve. Sounds like a good idea except for the lines. I don't know why everybody has to have the same idea...haha!! Lobster rolls are delicious, especially with very little to cover the lobster. You're recipe sounds great! I don't think they were ready for the number of people who attended the festival. The venue was too crowded and the lines incredibly long. 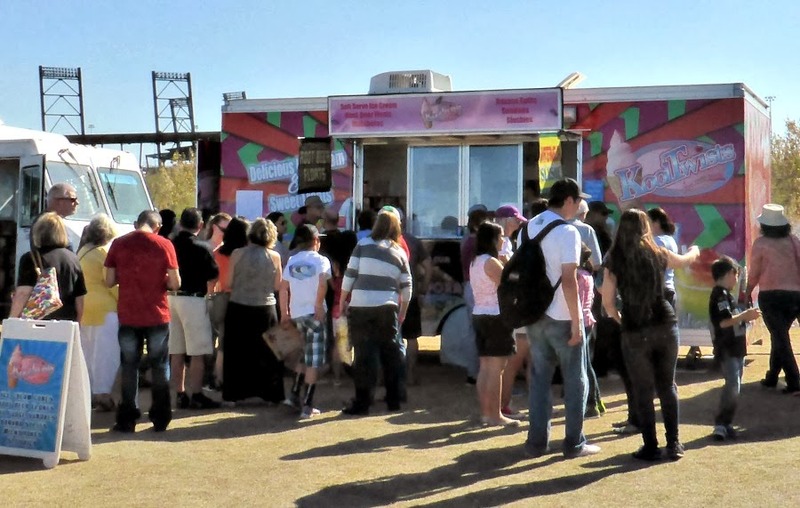 Not sure if the lines were due to inefficiency on the part of the food trucks or the number of people at the festival. I don't know. Food is my "thing" and this festival was so crowded we did not get to try much. We ended up giving our token to a family coming in as we were leaving. 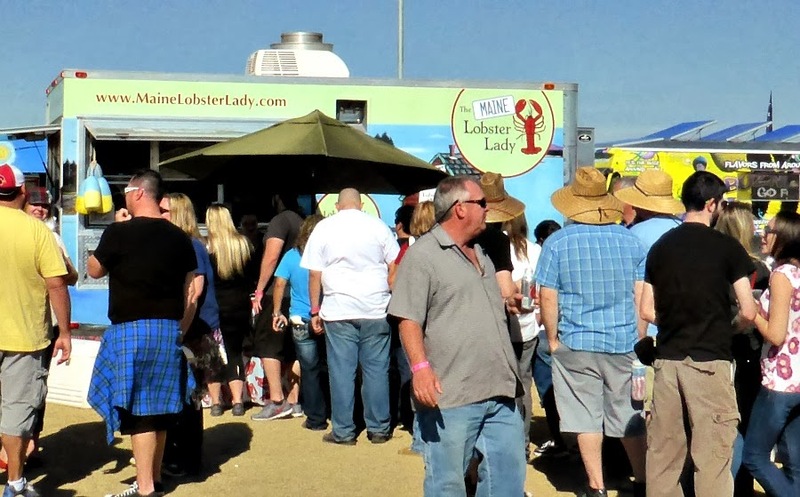 A food truck festival sounds like fun. Hopefully next year it will be better organized. Hi Janet. Welcome to our blog. You are right the festival had a lot of potential and it certainly drew a big crowd. A bigger space and faster service would make it a lot better.